buddy, can you spare $49.5mil? This, my excellent blog reading friends, can be yours or mine for the cool listing price of $49.5million. It is the extraordinary Water Mill, NY house of Nine West founders and gajillionaires Vince and Louise Camuto. Despite it's insane size (22,000 sq ft) I find it to be a total dream. The interiors are by Louise Camuto and Carol Egan. Nicely done. The house has heaps of grandeur yet still manages to look relaxed and inviting — that's no mean feat. 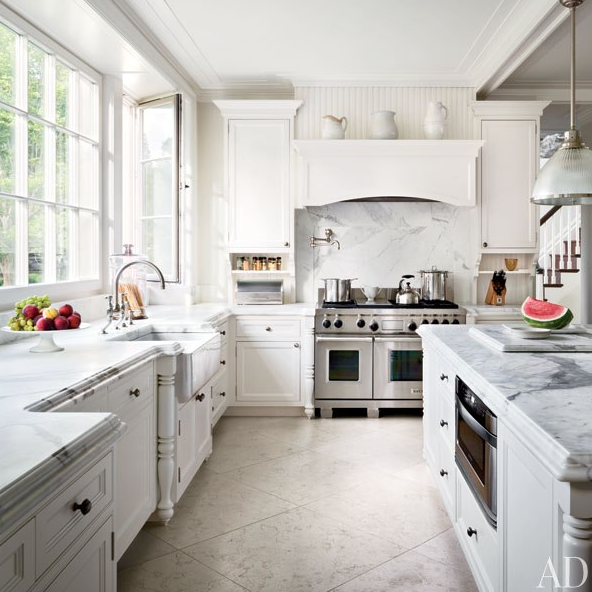 Just take a gander at the detail of the edge profile of the marble counters...amaze. Blueberry waffles and mimosas anyone? A little bit of Canada representin' in the media room as the sofas are by our very own Montauk sofa (don't be fooled by the New Yorky name, Montauk is Canuck). 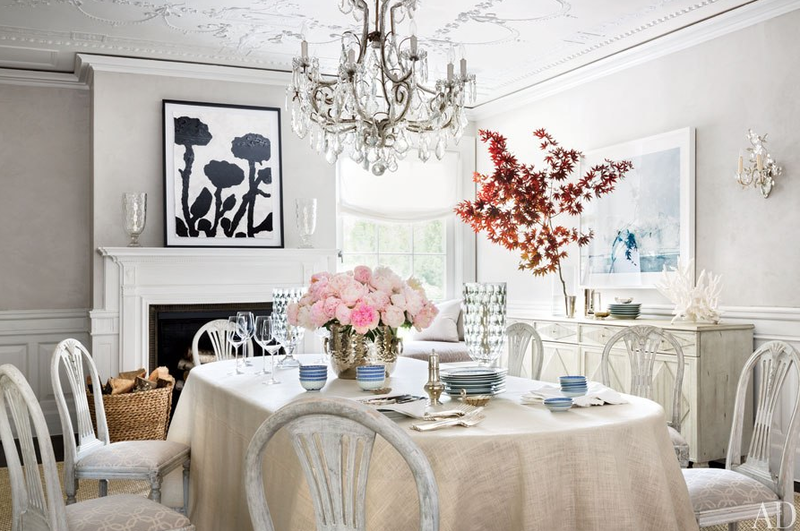 The formal dining room has a decidedly Gustavian feel, perhaps because the lady of the manor is an ex-Miss Sweden. Also, masterful photo styling here by Howard Christian - hat tip to you, sir. That tree branch in the background...makes the shot. Aaaaaaaah. Cashmere robe, a must. 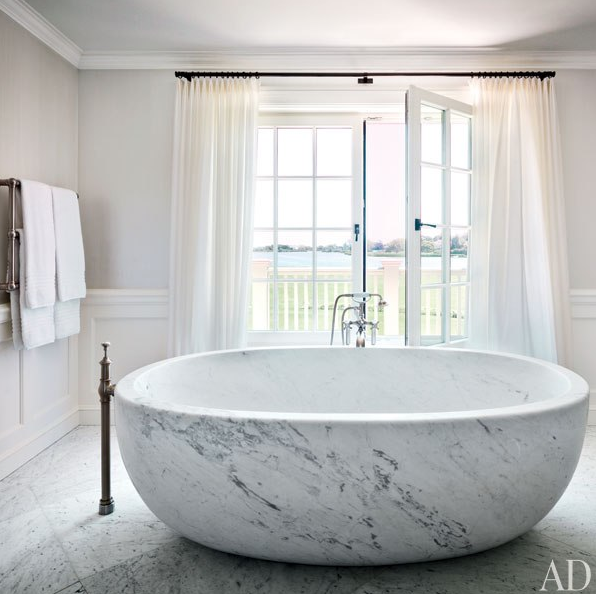 The story of the full renovation was published in the July 2013 issue of Architectural Digest, with these stunning photos by Scott Frances and styling by the aforementioned Mr. Christian. PS, this marks my return to the blog...I hope.